Welcome to Vinton County, Ohio. Nestled in the Hocking Hills region of Ohio, Vinton County is a small community with big potential. Formed in 1850 from parts of Ross, Gallia, Jackson, Hocking and Athens counties, Vinton County was named for nationally known Whig Congressional leader Samuel Vinton of Gallipolis. 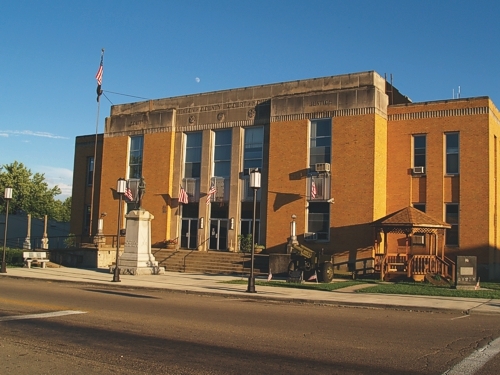 The county seat, McArthur has been in existence since 1815 and took its name from Duncan McArthur, an army general in the War of 1812. The county contains 414 square miles, almost 263,000 acres, and has a population of approximately 13,000. This makes for a friendly environment in which to live and do business where people know you by name and “red tape” is a phrase rarely heard. Vinton County’s wooded hills and natural scenery make it one of the most beautiful places in the state. With a host of state parks, state forests and a portion of the Wayne National Forest, there is no bound to the opportunity for outdoor recreation or for good old fashioned relaxation. Please explore our website for information on things to do, local businesses, relocation information and more! You will find a lot of valuable information and links to resources that we hope you will enjoy.